Retrofittable ABS Pro exclusively for the HP4. 1. Overall concept and vehicle properties. BMW Motorrad presents three new special models: BMW R 1200 GS Rallye, BMW K 1300 S with HP Package, and BMW K 1300 R. Dynamics Package for BMW K 1300 S.
Special model BMW R 1200 GS Rallye. Pricing Announced. The new Twin-Cam powered BMW RT and GS arrive. 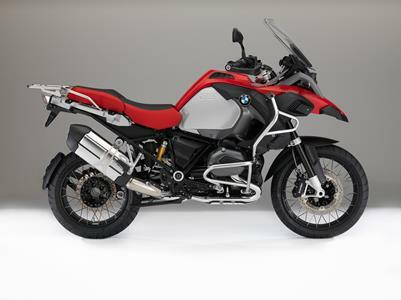 BMW Motorrad Australia and New Zealand is pleased to announce the arrival and pricing of the new BMW R 1200 RT, R 1200 GS and R 1200 GS Adventure. BMW Motorrad Australia is pleased to announce additional volume arrival of the strictly limited and highly exclusive HP2 Sport. The Adventures Continue: BMW Adds More To Its Unstoppable R 1200 GS And R 1200 GS Adventure Success Stories. After more than 100,000 examples, the BMW R 1200 GS and R 1200 GS Adventure motorcycles have been updated, mid-way through their production lives. 1. The new BMW R 1200 GS. 2. Power and torque for the BMW R 1200 GS. 3. Technical data for the BMW R 1200 GS. 4. The colours of the BMW R 1200 GS. Today I would like to present you a very special motorcycle – the HP2 Sport - the street version of our racing boxer. BMW Unveils Race-Bred HP2 Sport. BMW has unveiled the third model in its High Performance range, the HP2 Sport. It is the fastest, sportiest and lightest Boxer-engined sport bike yet, and it is ready for the road or track. 1. The New BMW HP2 Megamoto (short version). BMW Motorrad Scoops Yet More International Glory. New generation BMW motorcycles continue to reap the highest level of acclaim in the world as influential US publication Motorcyclist Magazine again names BMWs as the best of the year. Body design – slender and athletic all in one. Stable Telelever with a steep steering head angle. Boxer engine with even more power. 2016 BMW R 1200 GS Adventure.